This summer you may spend time at the beach, whether you live near one or will be visiting one on vacation. 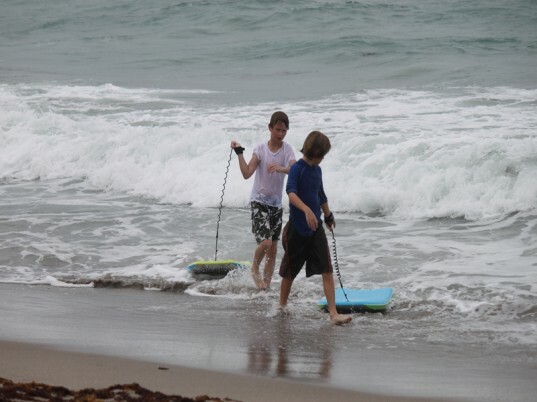 One of the easiest and greatest ways to keep kids entertained at the beach on a windy day is with a boogie board. 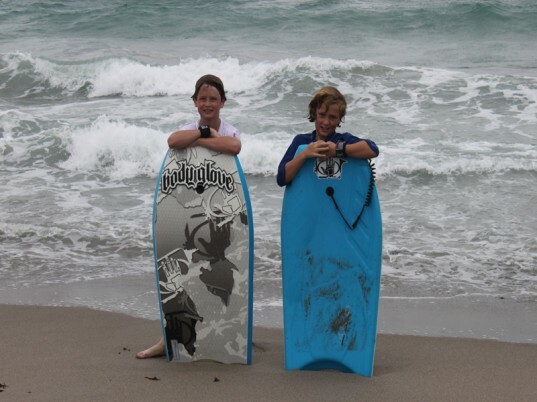 Body-boarding is a ton of fun for kids who are ready to venture out into the waves for a lot of excitement. This sport is great for children of all ages, as long as they are good swimmers and ready for a little splash and speed. 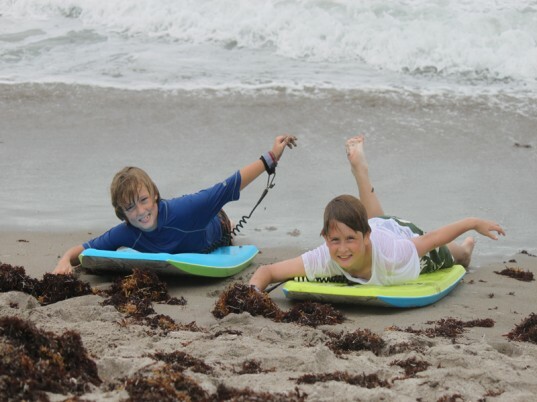 Read on to learn how you can get your kids body-boarding the first day that you hit the beach, making for a fun, exciting day in the ocean. If you live near the beach and will be using a boogie board over and over again, the best option is to purchase a board. You can find boogie boards at your local thrift shop and use-it again sports stores or pick one up at a yard or tag sale. 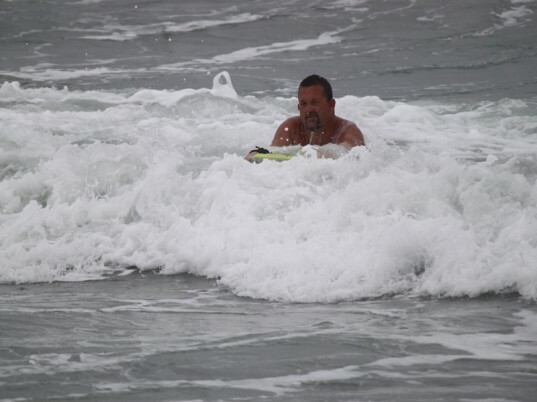 If you are only going to be using the body board while on vacation, you may want to consider renting one from the local surf shop or borrowing one from a friend or family member that lives in the area. Just like with any outdoor sport, you want to make sure that you have a good swimsuit (that won’t come off) and a swim shirt and sunscreen for protection from the sun. 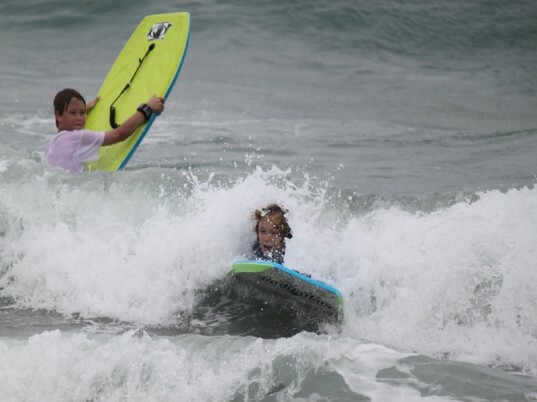 If your little one is hesitant to get out and give the body-board a try, show him how its done. Grab the body-board and head to the surf to catch a wave. Once your kids see how much fun is to be had, they will be willing to go out and give it a try. It’s a good idea to have your kids practice using the board on the beach. This way you can show them where to position their body when laying on the board, how to use their feet and arms to paddle out to the waves and where to position their hands. Body-boards are very light weight and any wave will catch it and wash it away if it isn’t strapped to your arm. This is very important because it is inevitable that the waves will wash the board away over and over again. If your child is young or needs a little reassurance, send a parent out in the water with them. An adult can help to steady the board while waiting for that big wave and everyone needs a little reassurance now and then. Help you child grasp the board with both of their hands and with their upper body on the board. Tell them to start kicking once the wave is right behind them, propelling them to the shoreline. 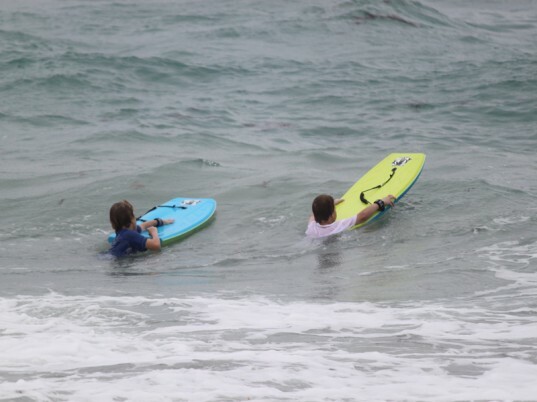 Just like most things, body-boarding with a friend is just more fun. It gives you someone to chat with while you wait for the waves and it is always more fun laughing, giggling and cruising in the water with a pal. 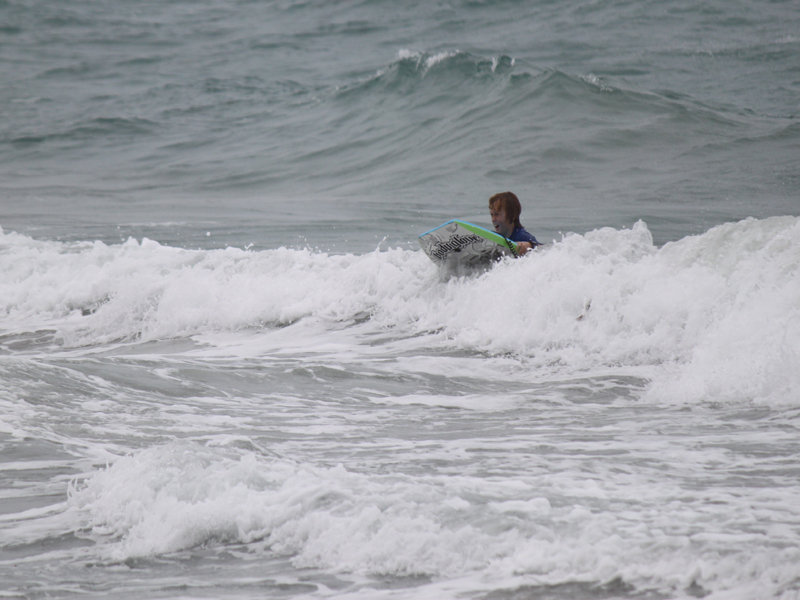 In no time, your kids will be catching the big waves and having a blast. Make sure that you have your camera ready to capture the smiles from a summer vacation to remember. If you live near the beach and will be using a boogie board over and over again, the best option is to purchase a board. You can find boogie boards at your local thrift shop and use-it again sports stores or pick one up at a yard or tag sale. If you are only going to be using the body board while on vacation, you may want to consider renting one from the local surf shop or borrowing one from a friend or family member that lives in the area. Just like with any outdoor sport, you want to make sure that you have a good swimsuit (that won't come off) and a swim shirt and sunscreen for protection from the sun. It's a good idea to have your kids practice using the board on the beach. This way you can show them where to position their body when laying on the board, how to use their feet and arms to paddle out to the waves and where to position their hands. 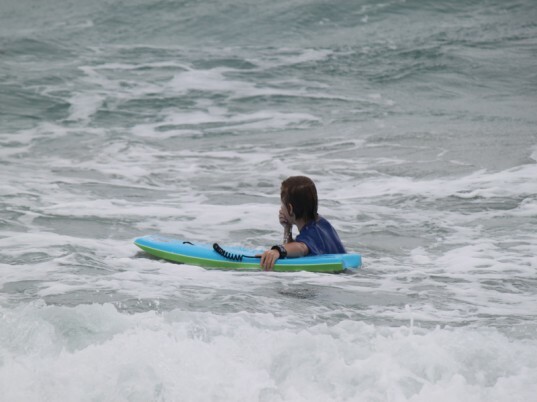 Body-boards are very light weight and any wave will catch it and wash it away if it isn't strapped to your arm. This is very important because it is inevitable that the waves will wash the board away over and over again.